If you or a loved suffered an injury from a dangerous product in Scranton, the experienced product liability lawyers at Munley Law can help you get the justice you deserve. Our attorneys have extensive experience handling complex product liability claims involving defective auto parts, prescription drugs, heavy machinery, and household consumer products. A Scranton product liability lawyer at our firm will review the details of your case for free, and help you determine the next steps to take. Product liability cases tend to be highly complex. Not all personal injury lawyers have the resources or the depth of experience to successfully handle these types of cases against big companies and manufacturers. Our case-specific experience with these matters sets Munley Law apart. We have achieved millions of dollars in settlements and verdicts for our clients who were injured by a harmful product. In 2017, Marion Munley was named “Product Liability Lawyer of the Year,” by the esteemed legal guide Best Lawyers. Fill out our contact form, chat live, or call (855) 866-5529 today for a FREE consultation with a Scranton product liability lawyer at Munley Law. We do not get paid unless we win your case. Companies that design, manufacture, distribute and sell products have a responsibility to ensure their products are safe for consumers. Unfortunately, hundreds of thousands of people are injured by defective and unsafe products each year. For more than 55 years, the Scranton product liability attorneys at Munley Law have held manufacturers, distributors and suppliers accountable for the injuries their products cause. 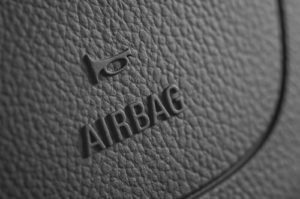 Munley Law is currently reviewing claims involving exploding Takata airbags, IVC filters, Stryker hip implants, hernia mesh, as well as harmful medications, consumer products, and recalled vehicles. A number of parties, including the designer, manufacturer, supplier, distributor, and retail merchant can bear responsibility in a defective product case. Under Pennsylvania product liability law, the doctrine of “strict liability” dictates that a person or company involved in the production or distribution of a defective product can be held liable whether they knew about the defect or not. Under strict liability, the victim must prove that a defect exists and that the defect caused injury. The product injury lawyers at Munley Law in Scranton have extensive experience with accident claims involving product defects. Whether the problem was in the design, manufacturing or marketing of the product involved in the Scranton accident, we can help. We work closely with experts to identify the defect or hazard. In some cases, the defect may lie not with the product itself but rather with the warnings, or lack thereof, that accompany it. Manufacturers may fail to take into account how consumers will use their products, resulting in unsafe and hazardous conditions. In the worst cases, a product injury may be fatal, resulting in a wrongful death suit. If you suffered serious harm related to a prescription drug, contact a Scranton product liability lawyer at Munley Law for a free consultation. Recalls have reached an all-time high in the auto industry. While recalls help keep potentially unsafe vehicles off the road, it may be hard for drivers to obtain replacement parts, or even become aware that their vehicle is under recall. In some cases, auto parts manufacturers conceal failed tests and continue to market a product with reasonable probability of failure. A malfunctioning airbag, or faulty ignition switch can lead to a deadly accident. If you or a loved one suffered an injury caused by a faulty or defective vehicle or auto part, we can help you seek compensation from all liable parties. Seemingly harmless household products like toys, car seats, and electronics can turn deadly. Every year, more than 250,000 children are treated in emergency rooms for injuries sustained from toys, according to the Consumer Product Safety Commission. Companies responsible for manufacturing and selling toys in the U.S. must comply with all federal safety standards and regulations for production, testing and shipping. Toys producers in other countries do not follow the same stringent safety regulations, however. Thousands of Americans visit the emergency room each year for injuries they sustained from harmful products in their own homes. Injuries such as burns, electrocution, choking, crushing injuries, entrapment and chemical poisoning have resulted from faulty and dangerous household appliances. Faulty furnaces, generators and defective space heaters can result in carbon monoxide poisoning. Injuries have also occurred from home electronics, such as exploding cellphones or exploding e-cigarettes, as well as outdoor tools, such as lawn mowers, hedge trimmers and various power tools. Injured by a dangerous or defective product? Call a Scranton product liability lawyer at Munley Law for a free consultation. If you’ve been injured or a family member has died as the result of a dangerous or defective product, it’s important to contact a product liability attorney before the statute of limitations for product liability in Pennsylvania. Manufacturers have a responsibility to ensure their products are safe. When manufacturing defects, design failures or negligence results in injury or death to a consumer, our Scranton product injury lawyers will hold the responsible parities accountable. Contact a Munley Law Scranton product injury attorney for a FREE consultation. Call, email us, or chat live. When you suffer a serious injury, you may face a host of unanticipated costs. You may have sudden medical bills, time missed from work, and other burdens. We want to help you get the compensation you need, without adding to your financial stress. At Munley Law, we do not collect a fee for our services unless we win your case. And, our fee (a portion of the settlement or verdict) will never be more than the amount paid to you. That’s our no fee guarantee.